Just some of what was collected. 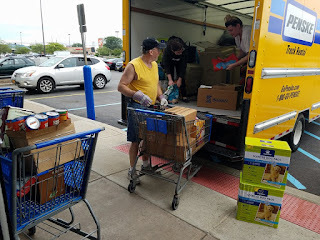 On Saturday September 2nd, two trucks from Rescued Treasures out of Rochester, NY rolled up to the Lockport PetSmart to make good on a promise made earlier in the week. Rescued Treasures is an animal rescue organization that is going to Texas to assist in rescuing and tending to displaced animals throughout the region of Texas battered by Hurricane Harvey. Niagara's Watercooler teamed up with Rescued Treasures to collect supplies the effort will desperately need for their mission, and the pets supply drive was a complete success. 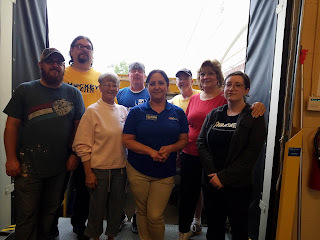 The group that helped to load the trucks at PetSmart. The effort was centralized at the Lockport PetSmart on Transit Road, and involved satellite collection points in Lackawanna, Newfane, and throughout Lockport. 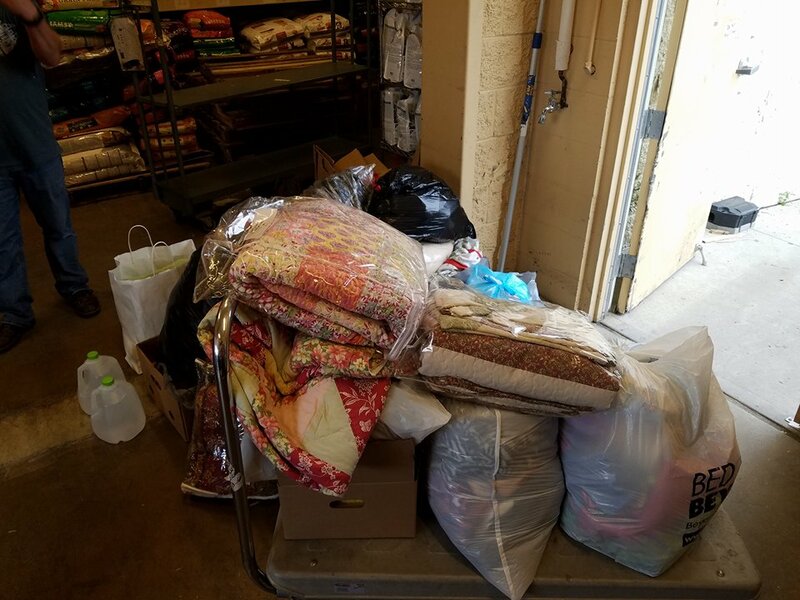 Throughout the week, the residents of Lockport dropped off pet food, towels, carriers, cages, spray bottles, and a wide variety of items that Rescued Treasures said it needed to do its job in the disaster area. 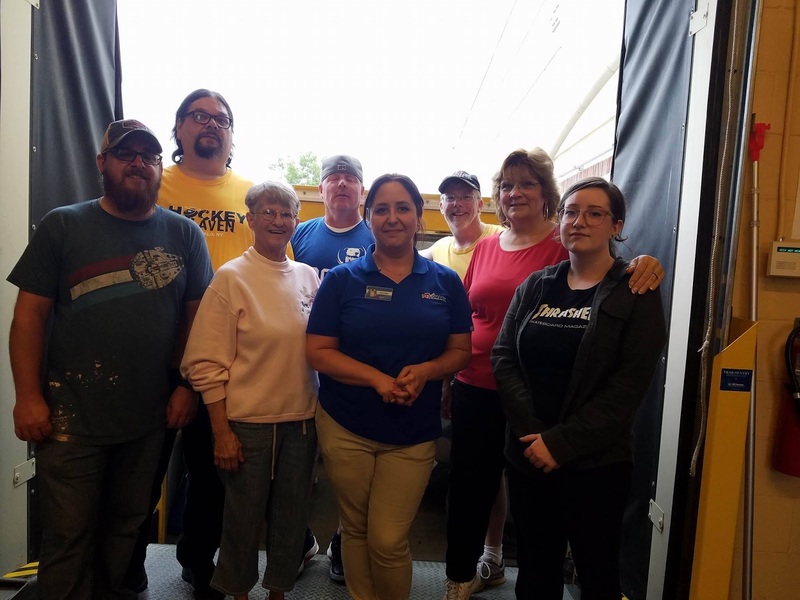 The Lockport (and WNY) community responded by filling one Penske rental box truck, and half filling the other. 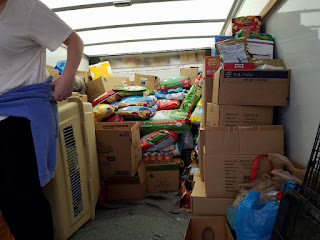 The empty space in the second truck was filled up by supplies collected by local Rescued Treasures representatives, and everything was taken to Rochester where it will be processed and then taken down to Texas. The materials going for the humanitarian effort in Texas. Local volunteers worked tirelessly all week long to bring in as much as they could to help the effort be successful, and some people even donated clothing for the people in the area. The clothing donations will be sent to charities that can use them to make sure that nothing that was donated will go to waste. All of the pet supplies collected will either be used in Texas, or used in any of the other efforts being undertaken by Rescued Treasures. And the loading goes on. PetSmart, Redhouse Music (Newfane), Donner Creek Veterinary Clinic (Lockport), and Park Avenue Imprints (Lackawanna) all stepped up as collection spots to help bring in results that exceeded the event organizers' expectations. The entire effort was initially coordinated on Facebook, and then was assisted by announcements posted throughout the city and in the Union Sun And Journal. The event organizers would like to thank everyone for their generosity, and are very proud at the way Lockport stepped up to help the animals affected by Hurricane Harvey. George N Root III is definitely not a news reporter, but he does his best. You can follow him on Twitter @georgenroot3, or send him a message at georgenroot3@gmail.com.